Yesterday was hard, last night was harder still. Honestly I'm struggling right now. The decorations came down this morning, and I'm trying hard to look forward. It's difficult. It is horribly, unbearably difficult. I'm so sorry. oh Jeanette, poor poor you I am so sorry, it's so awful. Our decorations came down today too. I'm also finding it very difficult to look forward. 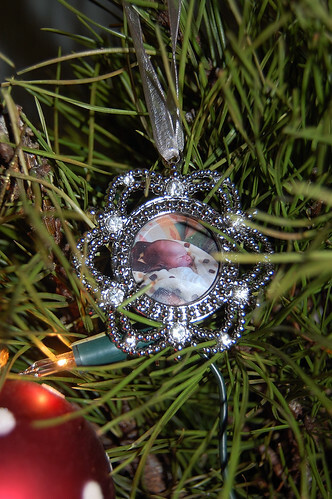 That's a beautiful picture of Florence on your tree. Thinking of you and praying for you here too. The decorations dedicated to Florence are beautiful. 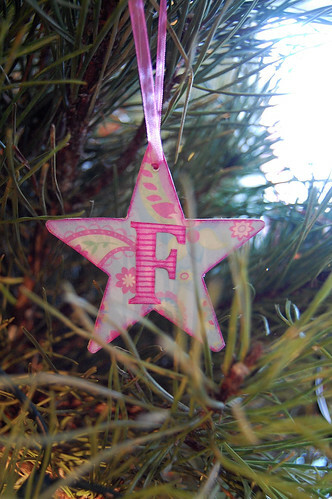 I think everyday about your lovely family and how difficult you must have found the christmas period without Florence, I can't begin to imagine. You are doing so many positive things to remember your little girl and I am always amazed by your creativity even in your darkest times. Florence will be with you always of course but your precious makings I'm sure are helping your other children to cope with her loss. You are, as always, an inspiration to me. I came across your blog via Harry's Mum and I simply couldn't *not* reply. My heart and my thoughts go out to you. Thinking of all of you including Florence. I hope you find the strength to keep looking forward. I cannot change your situation and I for one cannot ever fully understand what you are going through. how can I when I do not walk in your shoes? However I am right behind you on your journey, offering what little support I can. No matter what you will never walk alone. Hey Jeanette, Am back online after the move. The past months photos have been beautiful. I'm glad you got the results at last. Long live Florance in our hearts. You've done so well to go to so much effort this Chritmas, I bet the kids all loved it. I am so sorry that you are hurting so deeply right now. Just know that you are not alone. I may not know you IRL Jeannette, but am so glad to have met you through here. You are in my thoughts often for strength through this loss.